In the last Analysis we noted that Calvin emphasised the inscrutability and sovereignty of God’s will, and stresses divine simplicity, and then largely leaves the matter there, also stressing the inappropriateness of attempting to investigate the Creator-creature relationship. In the decades that followed Calvin’s era Reformed theologians employed the tools and results of scholastic theology to press some of these matters further. (Though Calvin himself was no enemy of scholasticism. 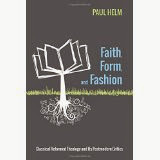 For some details see Paul Helm, John Calvin’s Ideas. ) Among these was William Twisse. 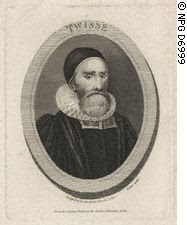 Twisse (1575-1646) is largely forgotten. (There is a brief discussion of him in Carl Trueman’s The Claims of Truth, (Paternoster, 1998)) Educated at Winchester and New College, Oxford, and a Fellow there, and then for many years the Vicar of Newbury in Berkshire, Twisse wasappointed Prolocutor of the Westminster Assembly until forced to cease through ill -health. But he was ill - suited to the job, being retiring and not at ease in oral discussion. Nevertheless he was a formidable scholastic theologian. At one stage he was offered a Chair of Theology in Holland. His Latin Opera were published in Amsterdam (1652). However, the repetitiveness of his English writings tries the patience. Here we shall draw attention to and try to understand his strong doctrine of divine sovereignty. It got him into trouble with John Owen, whose views we shall consider in our next Analysis. Owen discusses Twisse’s views as they are found in Vindiciae Gratiae, (1632) but the same position is to be found in his Riches of God’s Love (posthumously published in 1653). Samuel Rutherford agreed with Twisse, as the quotation at the heading of this Analysis makes clear. One curious feature of the spat between Owen and Twisse is that Twisse’s Riches of God’s Love and Owen’s Dissertation of Divine Justice were each published in 1653. Owen (at that time Vice-Chancellor of the University of Oxford) wrote a commendatory Preface for the book, even though it contained the very doctrine of sovereignty that he objected to in Twisse’s earlier Vindiciae Gratiae. ‘This Treatise of our Author, comes not any whit behind the choicest of those other eminent Workes of his, wherein in this cause of God, he faithfully served his generation.’ It has to be borne in mind that both Twisse’s Vindiciae, some of which Owen objected to, and his rebuttal, are originally Latin texts addressed to scholars. There is a problem with the relative positions of the divine will and the divine character. Is the will of God in some sense prior to (not temporally or causally prior, but logically prior) God’s natue, or subordinate to it? 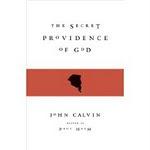 (This question is distinct from the issue of whether or not God can do things by his power alone, distinct from his nature – both Twisse and Owen, with the Reformed Orthodox tradition since Calvin - reject such an idea as blasphemous). It may seem that this distinction is pure logic chopping. However, if one takes the view that God’s will ‘presides’ over his character, then a strong doctrine of divine sovereignty results. If by contrast the divine will (or power) is subordinate to the divine character, and it is held that God is ‘obliged to’ or ‘has a duty to’ himself, to his own moral and spiritual self, then a more constrained doctrine of divine sovereignty follows. Twisse took the first view, as we shall now see. In the Vindiciae Gratiae Twisse appeals to Duns Scotus, chiefly in respect of the nature of the divine will to choose other than it does in fact choose. But as Trueman points out, even the supposedly non-voluntarist Aquinas is able to contemplate the idea that God could redeem in other ways than by atonement (Trueman, 108, referring to Summa Theologiae 3a 46.2). The way in which Twisse uses both Scotus and Aquinas as it suits him underlines the eclectic approach to philosophical influences that is characteristic of Reformed Orthodoxy, as Richard Muller has noted. This is not a God of pure will, potentia absoluta in a sense that makes God’s action lawless, utterly amoral. It cannot be, since God has a just nature. If the label ‘voluntarism’ is appropriate, it is voluntarism of a mild kind. To use an analogy, it is rather like the right that a monarch may have to grant a free pardon to someone guilty of a crime, or the right that the authorities exercise when they declare an amnesty. Twisse has two arguments or clusters of arguments for the position that he advocates. The first of these stresses the Creator – creature distinction. While God’s ‘communicable’ attributes are all essential to him, the corresponding virtues in people are accidental. So it cannot be said that what is attributed to God can in the same way be attributed to man. (Riches I.124-5) This is another reason, for Twisse, sharply to distinguish the Creator from his creatures. ‘God’s power is of a transcendent nature in being uncreat(ed)’ (Riches II.34) At the (logical) moment of his decree, since (unlike his creatures) God has no obligations, he has complete discretion over how he will choose exercise his goodness. Given that he wills the forgiveness of sin, likewise he has discretion over the mode by which that forgiveness is procured. For some reason Cross restricts his consideration of Scotus’s view on divine power to what God can command, but as Twisse implies it equally has implications for what God can decree for his creatures. This is very much Twisse’s approach. Although he appeals to Scotus in his Latin writings yet as we have seen in more than one place in Riches he endorses Aquinas’s view of God’s relation to his wisdom and justice in the Summa Theologiae. Twisse’s second cluster of arguments is the scriptural data. For his account of the Creator-creature distinction is not a piece of a priori reasoning. He stresses the Scripture emphasis upon the will of God, as in ‘I will have mercy on whom I will have mercy’ (Riches II.152-3), ‘God works all things after the counsel of his own will’, and references to the ‘good pleasure’ of God. For Twisse, the divine will has a primacy that these data seem to assign it. More generally, he adopts and emphasizes the following principle: that whatever Scripture says that God wills must be just. So all that God does and permits is just with the justice of ‘codecency’ (Riches, II 152.) That is, it is in accordance with his own goodness. But of course it follows, from his strong distinction between the Creator and the creature, that it would not be just any creature were to do the same action. In fact, this is Twisse's key claim. Nor is this simply a case of Twisse adopting strong voluntarism; he gives priority to God’s will but this is to make the precise point that God is under no obligations, not even to himself, and not that he is a God of pure will. We have seen that for Twisse the respective positions of Creature and creature are fundamentally different. He is the potter, we are the clay. (According to Twisse, as the Lord of life and death, God can inflict pain upon us. (Riches II 34) Twisse recognizes how difficult it is to reconcile such sovereign power in God with his justice. So far does Twisse’s view of divine sovereignty take him: God has power justly to inflict pain upon the innocent, as ‘hell-paines’ were inflicted upon the holy ‘Sonne of God’. (II. 35) Twisse cites this as the view of Perkins as well as of various scholastics, and of Augustine. Morris argues that on this view God acts in accordance with principles that are duties for us, but not for him. He sets this view up only to dissent from it on the grounds that being necessary it has the consequence that God is not praiseworthy. Twisse, (and Rutherford) taking their cue from such as Scotus and Aquinas, sharply dissent from this duty model of divine goodness, and would (I imagine) dissent from the Morrisian variant of it as well. They have incompatible accounts of divine praiseworthiness: Twisse praises God for who he is, Morris only for what he does.